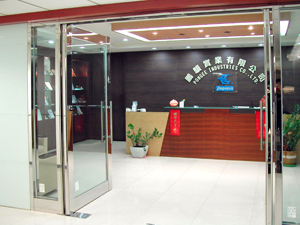 Pegasus Access Control, Time Attendance - Pongee Industries Co., Ltd.
Pongee is one of the leading professional manufacturer specialized in researching and developing in field of signal processing and auto identification products in Taiwan, especially focus on Access Control and Time & Attendance systems. Pongee develop and provide various of Access Control/Time Attendance, Biometric reader and RFID Products either Stand-alone or Networking with the associated Multi-channels controllers, Electric Strike & Electromagnetic Locks to be applied in simple Access Control, Central controlled building automation system, Time Recorder, ATM foyer access...etc. Also, we supply the controllers that are functional expandable to be interfaced with high technology identification devices such as Proximity, Wiegand reader & RFID card reader which can identify the card up to 3-6 meters for vehicle access control. 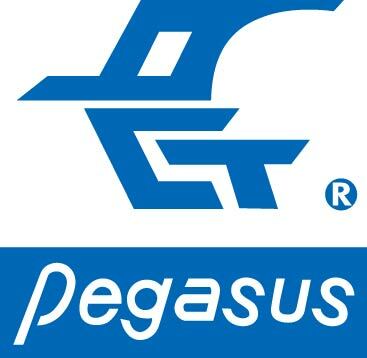 The "Pegasus" brand is registered in Taiwan and many countries by Pongee Industries Co., Ltd. since 1987 as the famous brand in the world for marketing Pongee’s related access products. We consistently strive to do the best in the development and sales of high quality, advance technology and reliable products for our customers. Volumes OEM or technical challenged ODM are heartily welcomed. For more information, please visit out website at www.pongee.com, www.pongee.com.tw, www.pegasus.com.tw or contact with us right now!! Security ( safety, surveillance) products- (1) access control systems, access control, access controls & time, RFID product, RFID products, attendance system, attendance systems- keypad & mag. card access controllers & readers (writers), programmer, magnetic stripe cards, proximity access controllers & reader system, proximity modules, multi-doors & lifts access control system, RFID remote type & long range hand free vehicle access control systems, multi-channel controllers, serial to parallel printer adaptors, PG access software, proximity & RF hand free cards, Mifare 13.56 MHz readers, guard tour & CCTV security systems, time and attendance recorders, access control equipment, industrial safety equipment ( products), personal protective equipment, safety equipment, video surveillance cameras, personal security products. (2)Electric locks series- electromagnetic, power bolts, drop bolt lock, low power electric strikes, mechanical locks, cabinet lock, brackets, exit push buttons, electrical locks & strikes, keypad locks. (3) digital color or B/W CCD cameras- CCD & dome cameras, PIR & mini cameras, board cameras, video cameras. (4) quad processors- quad processor systems, 4 channel duplex B/W multiplexers & color multiplexers. (5) POS series- magnetic stripe card readers, portable data collectors. (6) ESD access control system (7) Biometric- Fingerprint access control and time attendance recorder, Fingerprint reader, Palm vein secure verifier.